The next major version of WYSIWYG Web Builder (WWB12) is planned for later this year, this will be a major upgrade with more than 125 new features and improvements! The release date is unknown at this time. But we tell you more as soon as we know it! Version 12 introduces the "Blocks' toolbox. Blocks are ‘building blocks’ that make it possible to quickly create a website by dragging predefined blocks to the work-space. Blocks are basically just a group of standard WWB objects, so once dragged to the page you can fully customize the behavior and appearance of the content. 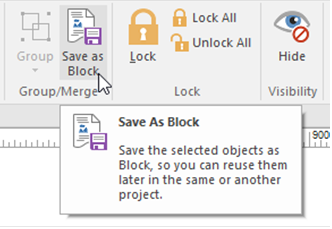 WWB12 includes a whole bunch of standard blocks to help you get started, but you can also create your own blocks (by saving a group of objects as 'Block'), so you can reuse them in other pages or projects. Also, additional ‘Block packs’ will be available in the download section of the website. WWB12 adds support for scroll transitions. This allows you to animate CSS properties of objects depending on the position of the scrollbar. For example, you can set the opacity (fading) of an object based on the scroll position, or move/rotate/scale objects into place when it scrolls into view. 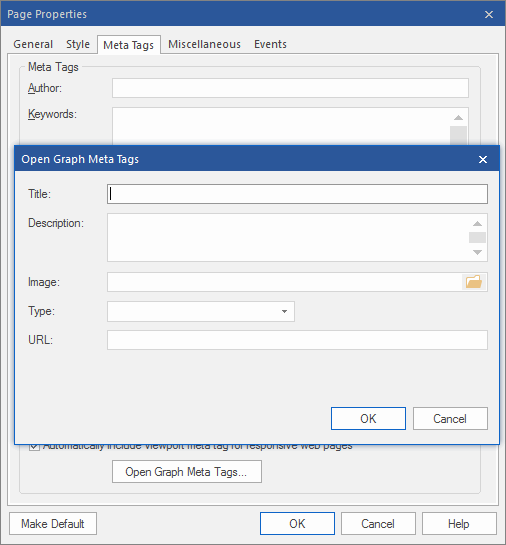 Added support for Open Graph Meta Tags in Page Properties->Meta tags. These settings make it easy to add Open Graph meta tags to a page to enable it to become a "rich" social object. For instance, Facebook uses this information to work out how to preview shared content in a user's Facebook profile. WB12 adds support for CSS3 flexbox. Flexbox is a new CSS layout mode that introduces a powerful way to lay out, align and distribute objects. Flexbox consists of flex containers and flex items. 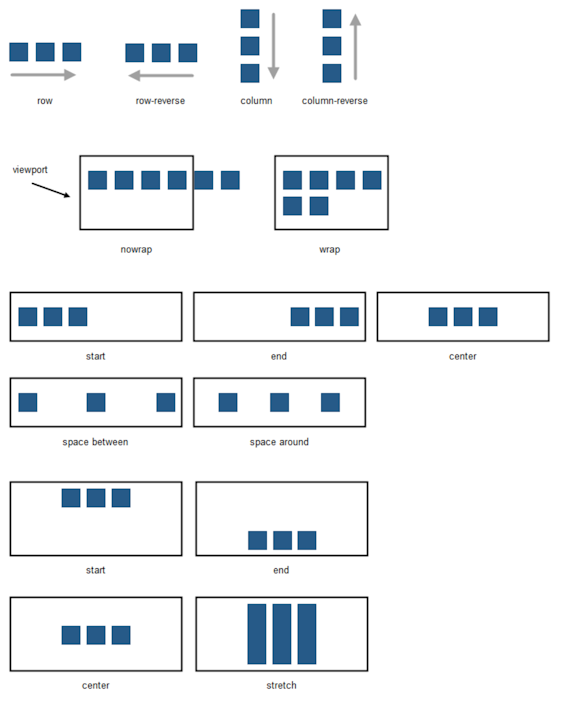 Flex items (the objects inside a flex container) can be laid out horizontally or vertically, aligned and distributed in various ways. It is also possible to stretch or shrink objects to fill the available empty space. - Improved: gutter, padding and margin are now responsive, so they can have different values in breakpoints. - New feature: Added 'Use Flexbox' option. 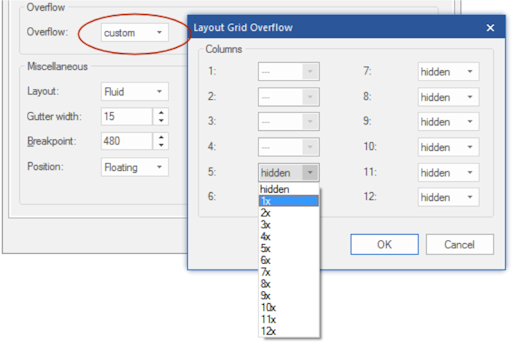 When this option is enabled, the grid will use CSS flexbox layout. This results in cleaner code and also enables some extra features like vertical alignment and entire column will be filled with the background. 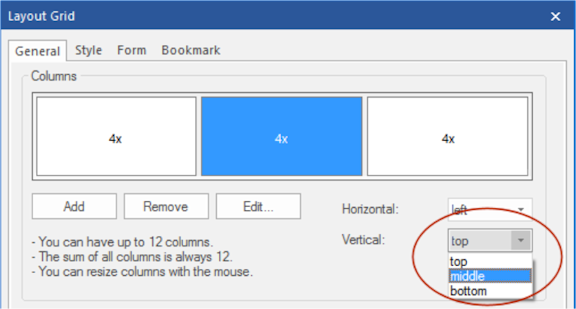 - New feature: Use different column widths in breakpoints. 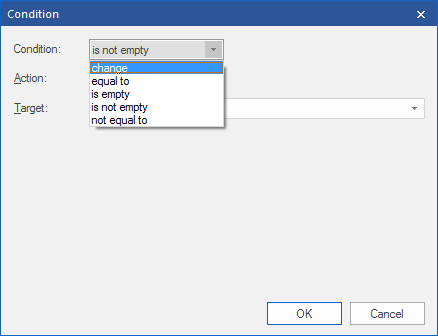 - New feature: Use different column counts in breakpoint. - New feature: Added the ability to hide columns in breakpoints. - New feature: Added 'overflow' option. This determines what happens when columns do not fit in the current row. Overflow columns can be hidden, 100% or have custom value. 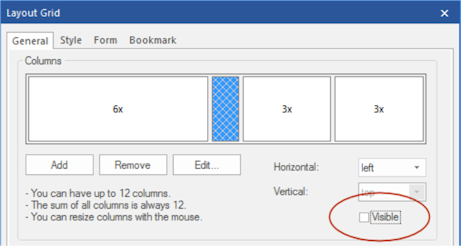 - New feature: Added vertical alignment option to columns. Note this only works when CSS flexbox is used! - New feature: Added the ability to set the layout grid fixed to the top of the page (as page header). - New feature: Added background overlay option. This uses the specified background color (and alpha value) to add an overlay to the background image. - Improved: margins of floating layers are now responsive, so they can have different values in breakpoints. - New feature: Added background overlay option. This uses the specified background color (and alpha value) to add and an overlay to the background image (see also Layout Grid for more details). - New feature: Added the ability to use a video as background. Supported are Youtube and Vimeo URLs. This is especially useful for full width/full screen layers. Note: this feature is also available for Layout grids and Page headers/footers! - New feature: Added ‘Position children’ option. By default, child elements of the layer use absolute positions so you can place them anywhere you want. By using 'floating' mode the objects inside the layer will float instead of having a fixed position. This can be useful when using floating layers which are set to 'Relative horizontal sizing' to create fluid layouts. 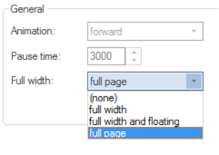 - New feature: Added ‘100vh’ to floating mode options. This will set the height of the layer to 100% of the viewport. This can be useful to create floating layers with a relative horizontal size. For example, to create full height columns. 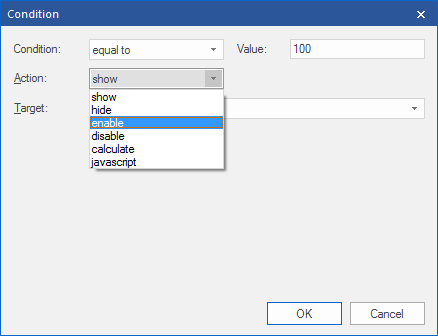 - New feature: It is now possible to customize the style (and size) of the Checkbox/Radio Button object to override the default browser appearance. This also make the Checkbox/Radio Button responsive so it can have a different size (and color) in breakpoints. This new behavior can be disabled with the 'use default browser styling' (This is enabled for older projects for backwards compatibility). - New feature: Added 'Conditions'. This makes it possible to show/hide/enable/disable other objects based on the value or selection of a form input field. For example, you can disable the form's submit button until the user checks a box. - New feature: Added the possibility to do basic calculations in form fields. Calculations are available in the 'Conditions' section of input fields. They can be used to calculate a value based on the values or selections of other input fields. 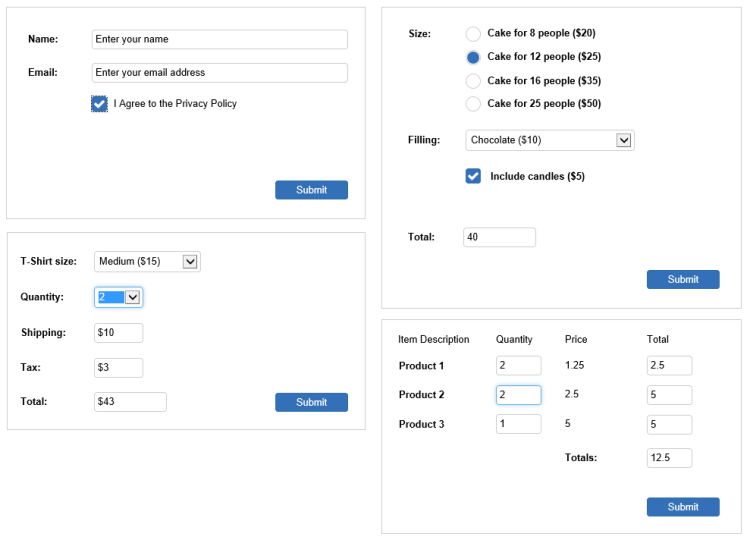 For example, to calculate the total price of an item in a web shop based on the selected options. 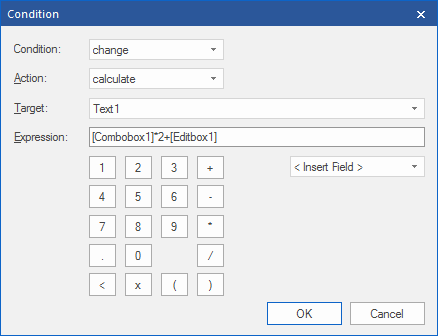 Conditions/calculations options are available for Editbox, TextArea, Combobox, Checkbox and Radio Button. - New feature: Added support for variables in the subject of the email message (PHP Mailer or rich text must be enabled). - New feature: Added the ability to set ID property for hidden fields. - New feature: Added option to include page name/referrer in form data. - New feature: Added option to configure the auto responder email input field. - New feature: Added the ability to send form data to an email address based on the selection in a combobox. Users can select a 'department' from a dropdown menu, and have the email sent to just that department's email address. 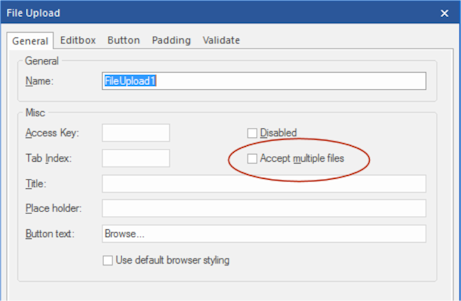 - New feature: Added 'Accept multiple files' option. To select multiple files, hold down the CTRL or SHIFT key while selecting. - New feature: It is now possible to customize the style of the File Upload object. The button and editbox each can have their own styling. This new behavior can be disabled with the 'use default browser styling' (This is enabled for older projects for backwards compatibility). 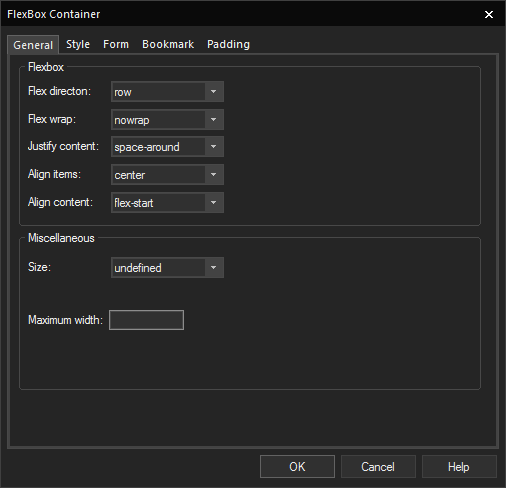 - New feature: Added 'Padding' option. Note: left padding will be used for the editbox and the right padding for the button. - New feature: Added 'Place Holder' option. Specifies a short hint to help the user to fill out the input field. - New feature: Added "Button text' option. This makes it possible to customize the text of the button. - New feature: Added 'RollOver Layer' object. A RollOver Layer works just like the RollOver image, but instead of just images you can now use any type of objects. Both the ‘Default’ and ‘Hover’ layer can be fully customized for endless possibilities. In additional to fixed mode (where you can place objects anywhere you want), the RollOver Layer also supports floating mode so it can be used in Layout grids. - New feature: Added 'Full Page' support. 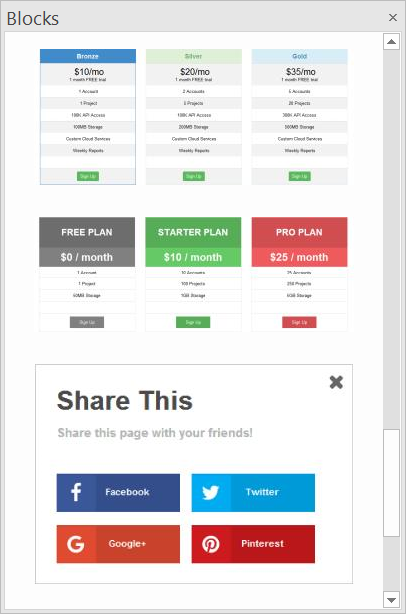 An easy way to create fullscreen scrolling websites (also known as single page websites or onepage sites). - New feature: Added 'CSS3 animation' option. Select animations created with the Animation Manager. A different animation can be selected for 'show' and 'hide' to create sophisticated animation effects. - New feature: Added 'News Paper' and 'Flip Horizontal/Vertical' animations. - New feature: Added support for jQuery 3. This version is slimmer and faster than previous versions. - Improved: Upgraded to the latest version of jQuery UI. All jQuery UI scripts are combined in one file (jquery-ui.min.js instead of jquery.ui.widget.min.js, jquery.ui.accordion.min.js, jquery.ui.effect.min.js etc.). This reduces the number of generated files which may help speed up loading of your pages. All internal scripts have been updated. - New feature: Added the ability to customize the colors of the jQuery UI widgets (Tabs, Accordion, Dialog, Slider, Date Picker etc.) independently of the jQuery UI theme. 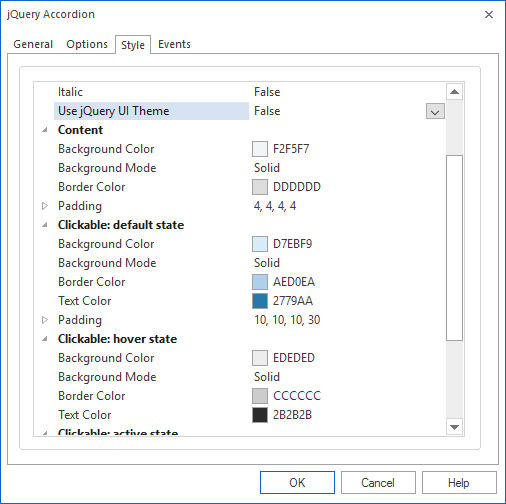 Set ‘Use jQuery UI Theme’ to false to control the colors of each widget individually. 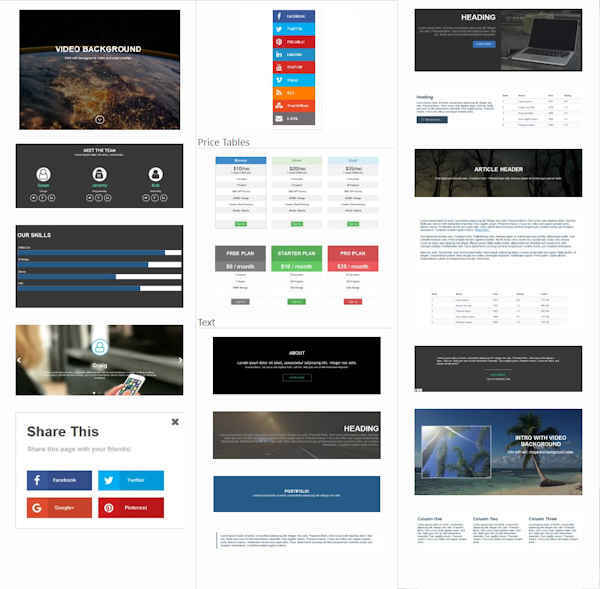 - New feature: Tabs can now be part of a layout grid! - New feature: Added support for Bootstrap tabs. This will use Bootstrap’s tab script instead of jQuery UI Tabs. This will result in a smaller footprint because it does not depend on the jQuery UI framework. - New feature: Added floating mode to Tabs. When this option is enabled objects inside the tabs float instead of having a fixed position. This is recommended for flexible layouts with layout grids. - New feature: Added the ability to align the navigation tabs in the header. - New feature: Accordions can now be part of a layout grid! - New feature: Added support for the Bootstrap Accordion. This will use Bootstrap’s collapse script instead of jQuery Accordion. This will result in a smaller footprint because the jQuery UI framework does not need to be included. - New feature: Added floating mode to Accordion. 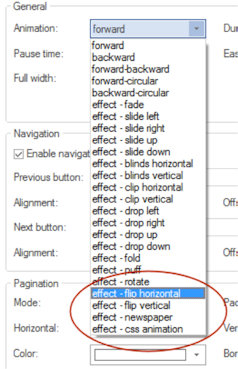 When this option is enabled objects inside the panels float instead of having a fixed position. This is recommended for flexible layouts with layout grids. - Improved: The jQuery Dialog can now have sizes and different layouts in breakpoints. 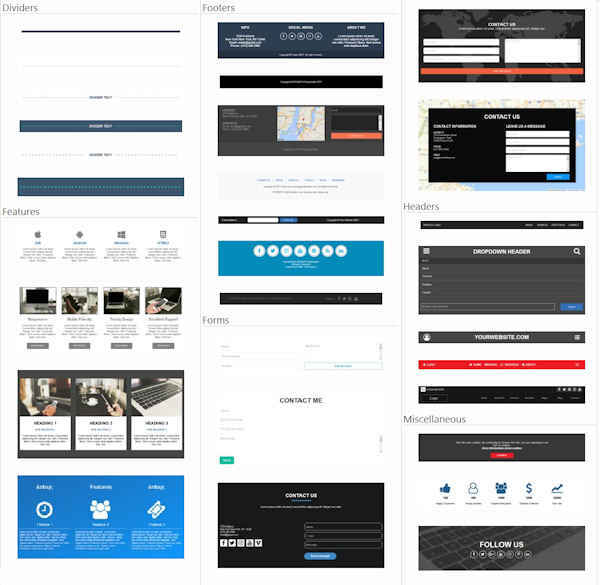 - New feature: Master objects can now be used inside a Layout Grid. The object becomes flexible/floating when it's part of a layout grid.